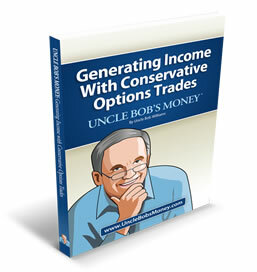 Our learning materials include everything you need to know to make income-generating options trades. Too busy, nervous, or right-brained to do the research yourself? Let Uncle Bob’s Money managers do it for you. 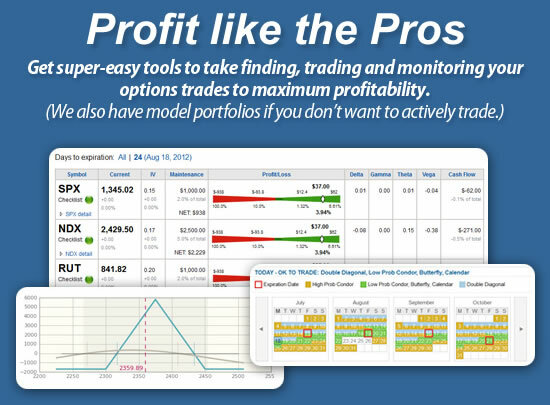 all you do is place the trades through your broker. Our checklist system covers all the bases to protect your investment. With it, we discern the optimal time to trade and when to avoid the market. A separate checklist helps maximize profits when you’re already invested in a trade. Our trade monitor takes your emotions out of the trading equation so you can realize maximum profits without sleepless nights wondering and worrying. Includes Daily Trade Monitor Summary Emails (see sample) & Trade Monitor alerts! For example, we'll send you an email / SMS if your Condor reaches a profit of 6%. 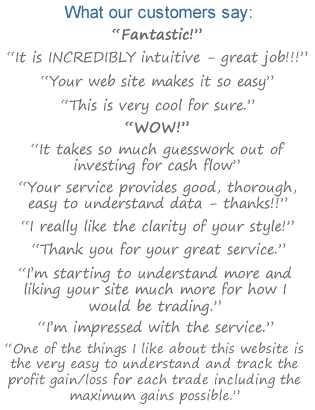 FIVE FEATURES TO IMPROVE YOUR FINANCIAL FUTURE, ONE OF THEM ABSOLUTELY FREE WITHOUT COST OR OBLIGATION! Why wait a MOMENT longer? Now you have a friend in the options trading business. Uncle Bob’s Money managers know the ropes. The Butterfly lets you maximize your returns under stable market conditions while risking only minimal loss. Learn how. Double Diagonals offer big returns with wide areas of profit.